With the recent news of chickenpox invading the Kansas City Royals’ clubhouse, I’m reminded of the serious nature of staph infections inside high-school locker rooms. 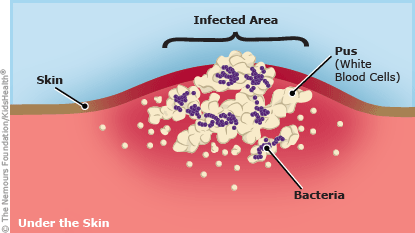 Staph infections begin with signs of redness and swelling, and then they’ll start to ooze and weep. A player may even become feverish if it’s left untreated. It’s important to get the infection treated immediately because not only can it quickly escalate into something serious, but also other players are at risk for contracting the infection on and off the field. This week, I visited in studio and spoke with 1590 WAKR morning show host Ray Horner about this topic. The good news is even with the increased play on artificial turf fields, I’ve seen staph infections level off in recent years. 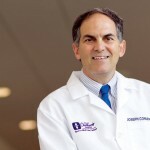 HORNER: Dr. Joe Congeni with us in studio, Sports Medicine Center at Children’s Hospital. Okay, we had this story come out yesterday. Kansas City Royals: they have a couple of cases of chickenpox inside their locker room. Not necessarily going down the road of chickenpox, but I wanted to bring up about staph because these are things, unfortunately, that we’ll see from time to time inside clubhouses, inside locker rooms, high school and beyond. Talk to parents about how these youngsters can avoid, or at least try to avoid a staph infection and some things to be leery of. DR. CONGENI Yeah, staph is around. When you hang around a children’s hospital like I do and in an emergency room and stuff like that, you’ll see some of the worst of the worst of the staph infections. So, the problem is there are so many kids out playing football. There’s 60, 70 kids for the guy at Wadsworth to be looking at and the guy at St. V to be looking at. The trainer should at least [do] a trainer check of any scrape or cut because if it starts to [have] redness, swelling around it, uh, they’re starting to get feverish at all, that’s a later sign, you definitely want to get on treating these things earlier rather than later. So if any of these cuts and scrapes start to look, uh, suspicious at all, get in and see somebody who can eyeball these things and get the treatment going sooner. And then, the other thing is keep them away once they do get a staph infection from a lot of other people. So what happens, these go unrecognized ’cause there are so many kids. It was a scrape before, now it’s red; it’s pink around it. It’s infectious. It’s weeping; it’s oozing and the people that they play against are gonna be at risk for getting staph, as well. So, we have to do a good job [of screening for staph]. … I always talk about what a job these trainers do. Get in the training room and make sure that that’s looked at by the trainer to see if it’s anything to worry about at all. 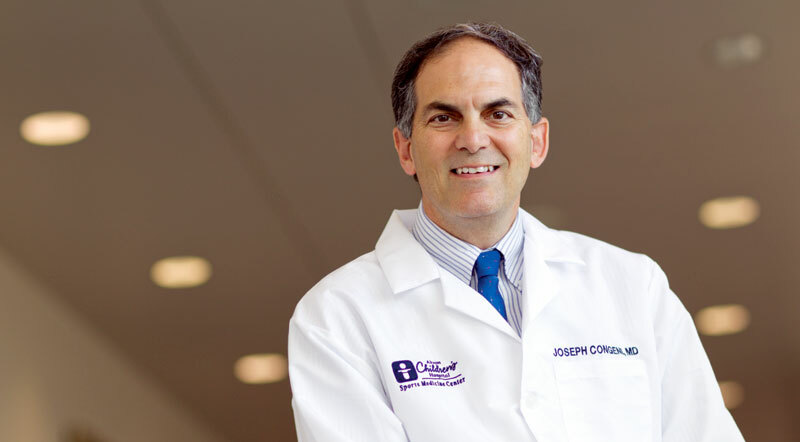 HORNER: Joe, with the increased number of [synthetic] turf fields at every corner now, have you seen more cases of staph because of the rubbing on that artificial surface? DR. CONGENI No. I think staph has leveled off a little bit, really. I think that we had that big push a while back and I think it’s leveled off. I think there are so many turf fields now. Gosh, when I think in our area, there are so many turf fields that kids play on, at least in the sport of football. I think the kids have gotten used to that. Some of them wear something on the skin and other things, but I think staph has leveled off to some extent. But, don’t let your guard down. When you get a staph infection going and you let it go too far, these things can rapidly take off and we have to be aware of when they start to look pink, red [and kids get] feverish. Let’s get ’em in and get looked at and get ’em treated. HORNER: Alright, Joe, thanks for the visit. Great insight, my friend. DR. CONGENI Thanks, Ray. Enjoy another great weekend. HORNER: mm-hmm. Dr. Joe Congeni, Sports Medicine Center at Akron Children’s Hospital, joining us live in our studio.